If you have an L – shaped kitchen island, you will be able to make maximum use of your space. An L shaped kitchen gives you space for your cabinets and appliances as well as a lot of counter space. So how would an L shaped kitchen island benefit you"
L shaped kitchens have walls which are set at 90% angles. An L kitchen layout is classic and extremely popular. It is also one of the most ergonomic kitchen designs, which makes it very practical and effective. When you add an L shaped island to your kitchen, your room will feel spacious. You will also have enough storage for all of your appliances. A small or open plan kitchen would benefit greatly from an L shaped island. 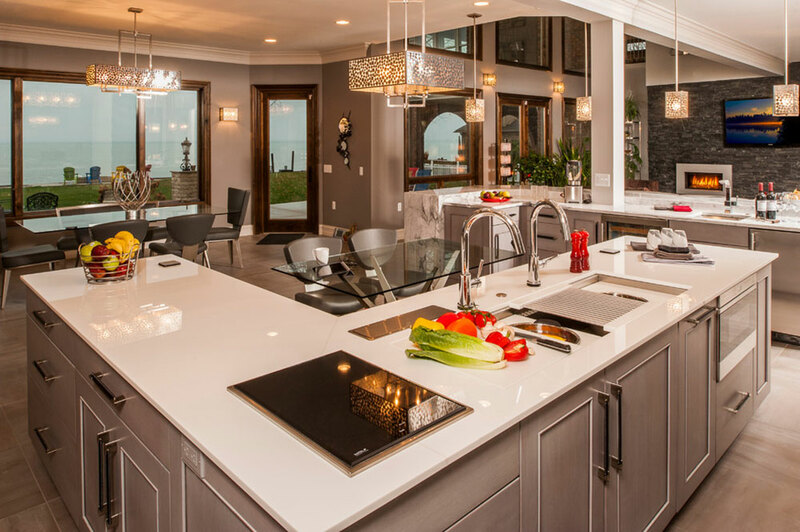 When you add an L shaped island to your kitchen, you?ll be increasing the flexibility of your room. An L shaped kitchen island makes cooking simple and efficient. The triangle between stove, fridge and sink is easy to create with an L shaped kitchen island design. This is why cooks adore this kitchen style.